Let’s get to the good stuff right away. In order to play like a jetsetter you’ve got to have money, and passive cash flow is best. 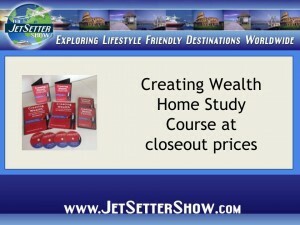 Jason Hartman’s Creating Wealth Home Study Course, normally retailing for $247, has been slashed to $175 while supplies last. If you’ve been standing on the sidelines, dithering over when and how to begin building an income property portfolio, now is the time to stop thinking and start doing. Seriously. Even at the old price, this is a deal too ridiculous to be believed. And now…well, we don’t know of any other complete real estate education being sold for such a pittance. What do you get for your $175? 1. Nine hours worth of intensive real estate learning. No esoteric theory. This is a simple, repeatable, conservative approach that can make you VERY wealthy. Nothing is left out. You could start investing the day you receive your package. 2. How to properly use leverage to reach financial independence. You might quit your job in as little as seven years and never work again. 3. How to ignore the financial “guru” chatter and select properties and markets that make financial sense the day you buy them. 4. How to avoid negative cash flow. 5. Hands on property selection session. 6. You own your first property. Now what do you do? No worries. We’ll tell you. 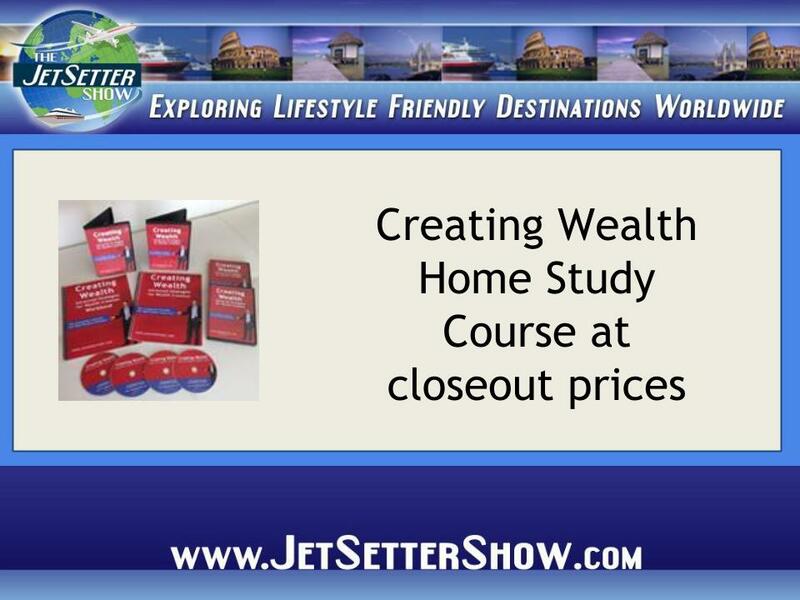 A new feature with The Creating Wealth Home Study Course is property analysis. Jason and his team of investment experts will include a free, , personal, one-on-one property analysis of any property you choose. We want you to take the tools you learn in this course and put them into action! We’ll show you how we decide whether or not a property is a good buy. You can even bring in outside properties you’re interested in and we’ll show you how to evaluate its money-making potential. The choice is simple. Spend $1,000, $3,000, or even $5,000 on a real estate seminar where the primary purpose is to upsell you to an even higher priced product. Or, for less than two bills, learn the strategies Jason Hartman has been using for more than twenty years, through good markets and bad, to create the life of financial independence you’ve always craved. We’re not sure how long this bargain basement price will last. We’re in the process of switching this product to an all digital delivery and when these are gone, they’re gone. If you’re familiar with Jason’s home study courses at all, you realize this price is a rare deal. You’re likely to learn enough valuable information to recoup your tuition investment during the first five minutes off the program.